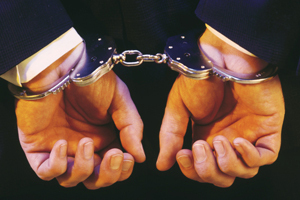 When Do Miranda Warnings Need to be Given? The suspect has the right to remain silent. Statements the arrestee makes can and will be used against him/her as evidence in court. The suspect has the right to consult a Fresno criminal defense lawyer and to have legal counsel present during an interrogation. If the arrestee can't afford an attorney, one can be appointed to him/her free of charge before the interrogation. If any of the above warnings aren't given, subsequent statements made by the suspect will be inadmissible in court. For that to happen, however, a Fresno criminal defense lawyer must prove that a custodial interrogation triggered the need for the Miranda warning in the first place. For these purposes, an interrogation consists of actions and/or words that are likely to elicit incriminating responses from the arrestee. In general, however, handcuffing a suspect is enough to warrant the need for Miranda. If Miranda warnings aren't administered as required, much of the resulting evidence from the interrogation may be inadmissible. An experienced Fresno criminal defense attorney can assess the circumstances of an arrest and custodial interrogation to determine whether such warnings were required. Call Fresno criminal defense lawyer Nicco Capozzi at 559-374-2012 now. Newer PostWhat Will Happen If I'm Arrested?